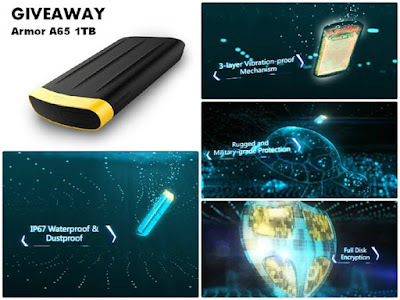 Want a 1TB Portable Hard Drive? See the Armor A65 video and leave a comment at Silicon Power Facebook page to tell them which function is your favorite, you will have a chance to win a FREE Armor A65 1TB! Leave your comment and #theStorage (ex : Vibration-proof is the most important thing. #theStorage) at this photo. Note: Giveaway promo starts from June 20 to July 5, 2015 only.